Allen Hughes Directing Mark Wahlberg to "Broken City"
Mark Wahlberg has taken a break from talking about "The Fighter 2" long enough to sign on for another film. Wahlberg will star in "Broken City," the 2008 Black List script by Bryan Tucker, about “A New York private investigator [who] gets sucked into a shady mayoral election,” reported Deadline. Allen Hughes, who has yet to make a film without his brother Albert, serving as co-director, will be behind the camera. Wahlberg already has "Contraband," a remake of "Reykjavik-Rotterdam" (widely considered the greatest drug-smuggling film to come out of Iceland) in the can, awaiting a March 16, 2012, release. And he's currently filming "Ted," about a grown man's relationship with his foul-mouthed teddy bear. with "Family Guy" creator Seth McFarlane. 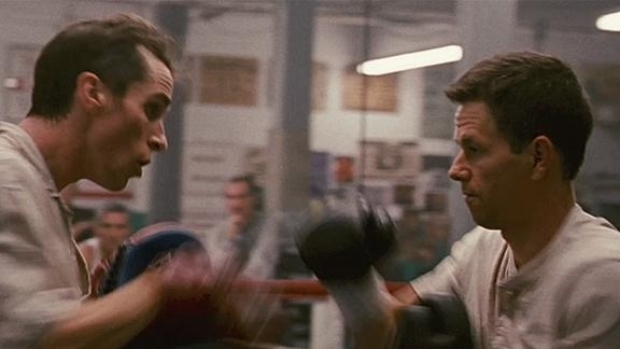 Wahlberg's also been putting together the cast for a reunion with "Fighter" director David O. Russell, "The Silver Linings Playbook." It tells the story of a man fresh out of a mental institution who commits himself to getting healthy and winning back his estranged wife. Of late Russell has considered pretty much every hot young actress in Hollywood: Elizabeth Banks, Kirsten Dunst, Blake Lively, Rooney Mara, Rachel McAdams, Andrea Riseborough, Olivia Wilde, and Jennifer Lawrence. Robert De Niro is rumored to be on board, too. And to be fair, we'd love to see a "Fighter 2," there's a lot more to that story left to be told.